October 7, 2016: Mike and Noelle have built a MASSIVE company around a busy schedule of four kids and their marriage! TODAY they tell you HOW they did it with kids and all their other obligations! YOU will see -- YOU can do it too!! February 27, 2015: What exicting things are going on in the Lewantowicz Agency? What are their goals? What they focused on? What are they "In the Hunt" for? On this week's NAActivity Call, Barry Clarkson will chat with special guests, Mike and Noelle Lewantowicz to discuss their successes and their goals for the future. The Wednesday Call Live (TWC) for December 3, 2014: This file is an audio recording of Andy's Live Show. If you would like to access the video version, check out the NAAtv Live Archives! The Live Show will air again on December 10, 2014 at 12:30 PM ET. 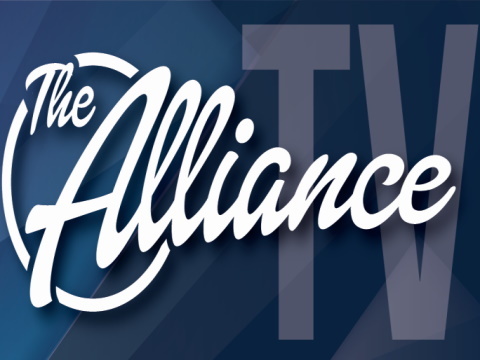 The Wednesday Call (TWC) for December 3, 2014: Andy Albright hosts a live conference call and meeting from National Agents Alliance Headquarters in Burlington, NC! Andy's live show covers all kinds of great topics, including training, information on team building, new developments that are in the works, and frank discussions with your fellow agents (beginner and top level managers alike!). If that wasn't enough, the live show also provides motivation and encouragement that will help get you fired up and ready to roll! Be sure to tune in and take advantage of the great info in The Wednesday Call. Andy Albright hosted another episode of TWC live from AMP Studios in Burlington, N.C. The studio was packed with guests from around the country who were in town to train at NAA corporate and to see a live show. Andy reminded new agents that the new agent Banff contest has started and if you started with The Alliance in 2014 you can start earning trip credit for 2015 now. The Greek Isles Cruise contest is still going on for the rest of 2014 and agents can earn points until the end of the year. The Alliance unveiled the Banff, Canada video to let people see what the 2016 trip will entail. For the latest details, visit the contest page at www.NAALeads.com. Andy explained the qualifications for this trip and also covered the new ALUSA compensation plan that started on Dec. 1, 2014. Mike and Noelle Lewantowicz joined Andy and shared their story with the audience. They live in Louisville, Kentucky and joined The Alliance in 2002 when NAA started. They discussed hiring people who are easy and looking for a new opportunity than to find people who might already have obstacles. Finding people ready to get rolling is half the battle. You can't be afraid to ask people if they are open to making money. Today's main topic focused on attitude and the power of peer pressure. Who are you spending time around? Are you doing all you can to get around the right people that can help you reach the next level? Attitude is one of the greatest struggles in life. It can change your life for good and bad. Negative people can hurt you so badly if you let them. Negative situations can hurt you too. Sickness can hurt you if you let it. You have to learn to let go of what happened. People that allow circumstance mold them becomes victims of circumstance. Is that what you want to be? You have to work hard to avoid falling into this trap in life. Your outside appearance is an expression of what's going on inside of you. People with deepest Hubert's are ok and have best attitude. They are happy and blessed. Meanwhile, people with greatest gifts and talents are mean, maddest, etc. You can't let bitterness change your life for the worst. You have to protect your attitude no matter how good or bad. It matters more what is in us than what happens to us. Ignore the little voices of doubt and speak over them. It does matter what you say. Effort makes all the difference in the world. You can't help people that won't try. It really is peer pressure. If you want to start a fire you have to go chop down a tree and chop up wood before you can ever feel the heat. It starts with action. Little dreams don't stir the hearts of men. Don't set the dream bar too low. People with big dreams stir the hearts of people and get them to move. Work hard each day to not let things and events impact you in a negative manner. Focus on the positive and what you can control and life will be easier. The Live Show will air again on December 10, 2014 at 12:30 p.m. EDT. On the call for May 16, 2014: Join Andy Albright for an in depth President's Club Over the Shoulder call. National Managers Mike and Noelle Lewantowicz will be in the hot seat this week. These calls are designed for President's Club members and offer an intense training experience not for the faint of heart! November 9, 2012: Barry Clarkson's ready for the NAActivity Call TODAY and he's brought along Mike & Noelle Lewantowicz as guests! The next NAActivity call will be on November 16, 2012. Keep an eye on your National Agents Alliance email blasts for more information, and remember to email your NAActivity reports to NAActivity@NAALeads.com by 4 p.m. each Thursday!